Is this the year of the female powerhouse? 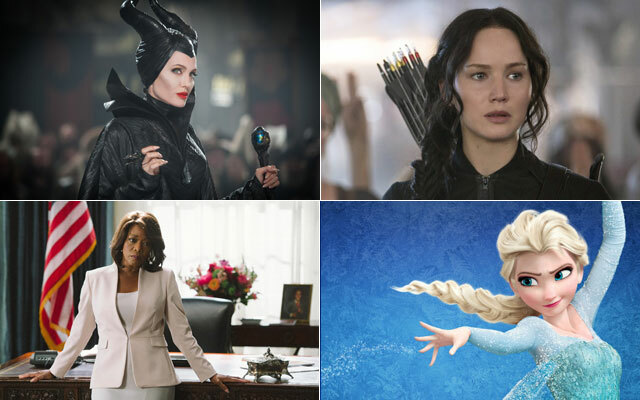 From "Frozen" to "Maleficent," strong female voices are paving the way for a future generation of tough women. screenwriters eager to cash in on the developing trend. simply because of her gender. telling fantastic stories,” Gaiman says. opening weekend of any movie in 2014.
calls off her own wedding to save a nearby kingdom from a sleep curse. she turned to other women for inspiration and found a plethora of material. ultimately showed Palmer the power behind honesty, she says. depression — Palmer says something much more sinister was at work. “All these men were going, ‘You’re not allowed to be talking about this! “neither to sleep with the heroes” nor to be exemplars of girl power. Instead, they were just normal characters who happened to be women. into my store for the first time,'” he says.